Generate mobile revenue and earn the highest eCPMs with our powerful in-app monetization technology. The Chartboost platform attains the highest bid from a vast pool of demand partners and top advertisers competing for your inventory. We empower app developers to customize the ad experience and ad targeting within their mobile apps down to the last detail. You can choose which audiences see which ads, when, and how often. In your publishing campaign, you can customize the ad targeting by country, genre, device type, and OS version. Of course, you can also block other apps or companies from advertising in your mobile app. Our dynamic ad templates are optimized for performance and are designed to blend seamlessly into your mobile app. Our SDK enables you to generate more revenue from your app with high-performing video and interactive ads. 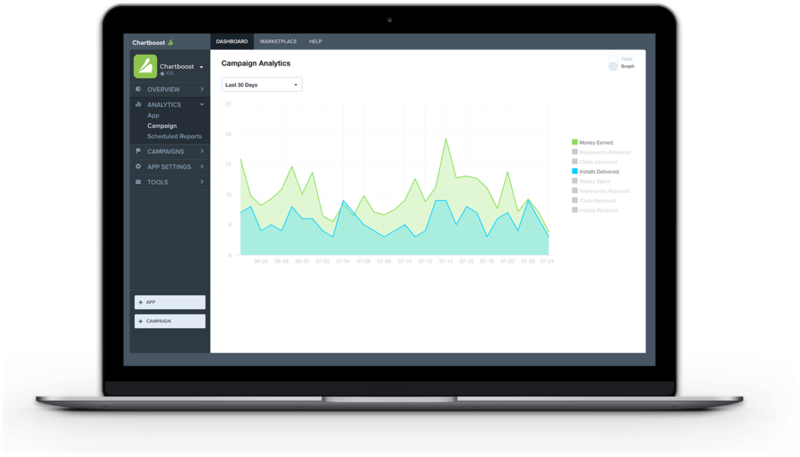 Chartboost is the only monetization platform that offers radical transparency down to the advertising app level. 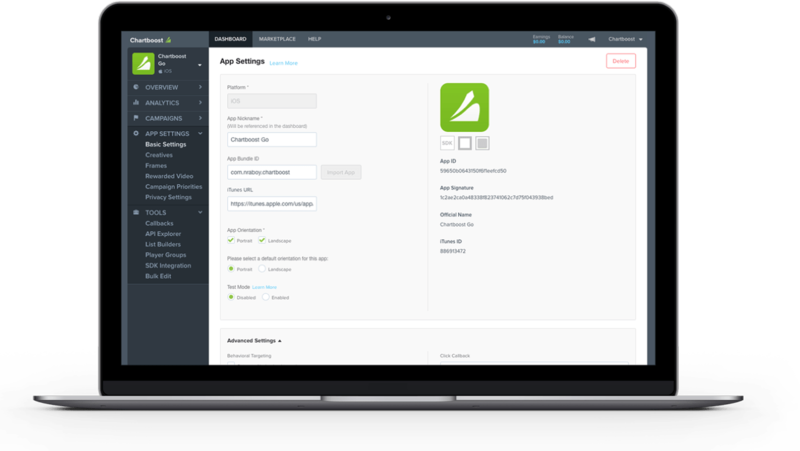 Chartboost's monetization platform is used by the largest app developers worldwide. It takes only a few minutes to implement our SDK and start earning revenue. 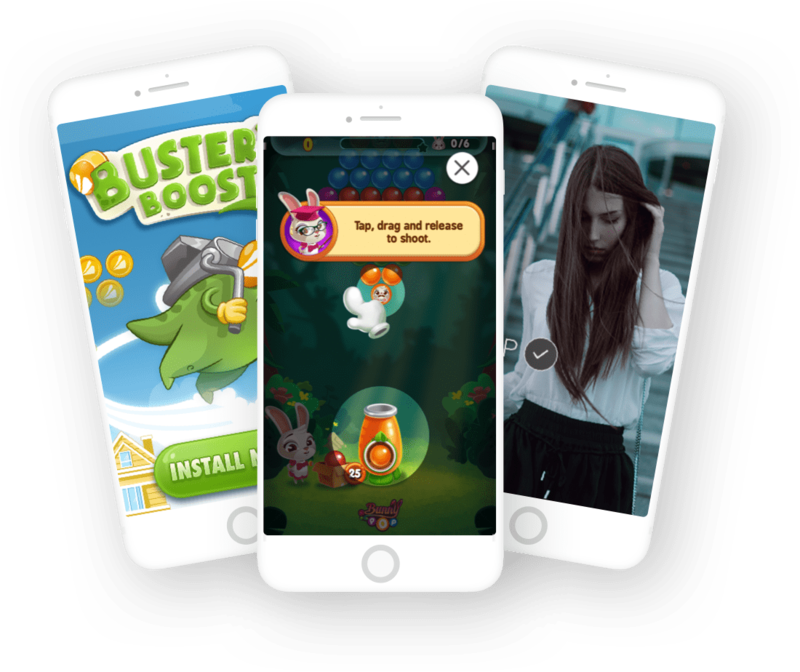 The Chartboost SDK’s small but powerful footprint delivers high-speed video and interactive ads without disrupting the user experience. 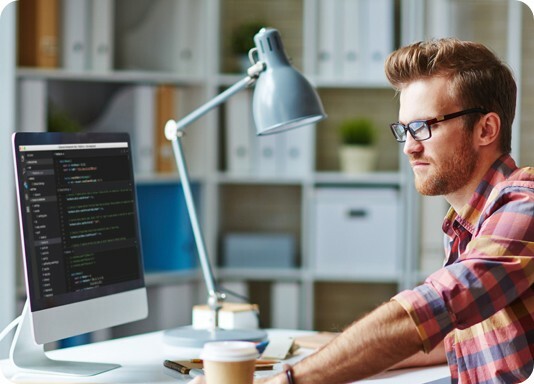 Our SDK is designed to support the leading ad formats across iOS, Android, Unity, and Amazon. by 71% in First Week! to start monetizing and earning revenue.